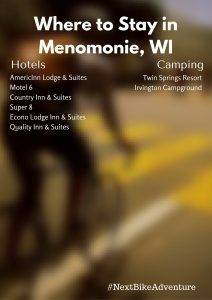 An ideal destination for biking, the Menomonie Area offer miles of paved trails with many routes on low traffic roads and a great mountain biking area. After riding, you will have a chance to enjoy activities surrounded by nature, history, the arts, and culture all while having fun! 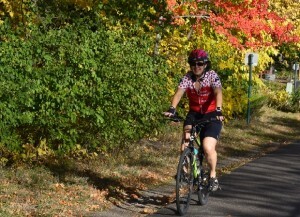 A young lady rides her bike along a trail in the area as the fall colors peak. Relax on family friendly trails or ride on rippling rural roads guaranteed to stretch the leg muscles while offering you many scenic vistas in and around the Menomonie Area. There are many great biking opportunities from designated biking trails to scenic road rides. So hop on your bike and let your legs pedal you along the Red Cedar Trail. Then, go across the river for an optional loop route on low traffic roads. Many of the trails listed above are ideal for walking or hiking as well. If you want a chance to kick back, relax, and enjoy some of the local attractions or maybe tour the museum and other key attractions, here are some great activities to do. From the Raw Deal Restaurant & Coffee Shop to the Red Cedar Lodge Restaurant, the Menomonie Area offers several interesting and charming cafes, coffee shops, and ice cream shops suited to your taste. 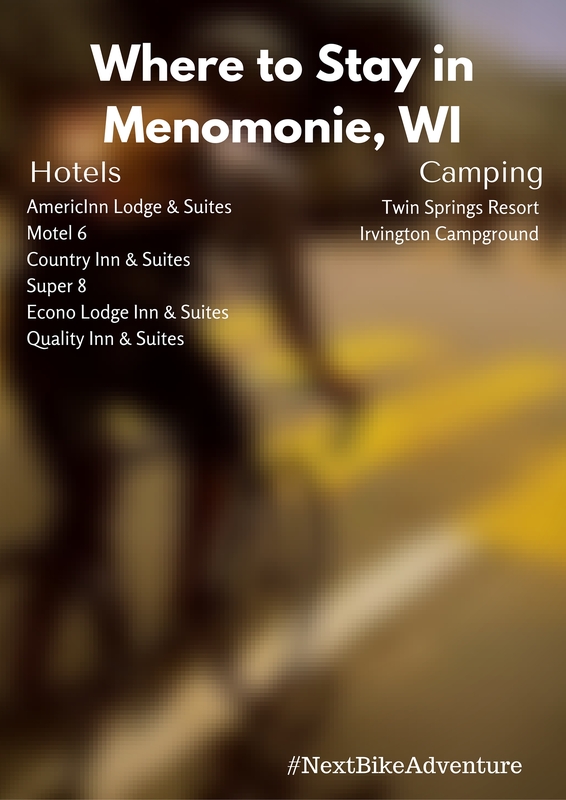 Great places to stay while exploring Menomonie, Wisconsin. Along with most hotels, coffee shops and restaurants have Wi-Fi availability. Also, the public library is another good option. See the Menomonie Tourism Bureau for more detailed information.